Palm in Cowhide Leather (Available in Goat & Buffalo Leather). Back & Cuff in Cowhide Split Leather. 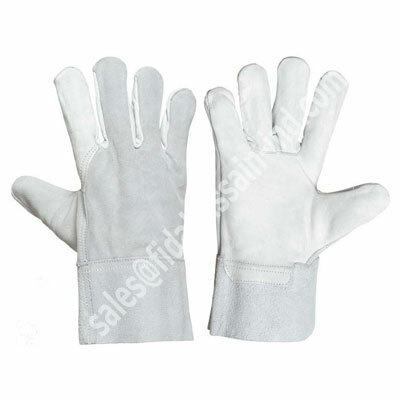 White Color, Available in other colors as per customer's requirements. Size: 9 - 11" (On your request). Underneath are few Pictures of Tig Welding Gloves for Refrence.